See what happens when you strap 3,200 horsepower, Arneson surface drives, and Rolla surface-piercing propellers to a 51-foot boat—as told by Gary Reich of Boats.com. The 51 Bestia (that’s Italian for “beast”) is a very different animal compared to those go-fast boats of the ’80s, however. Yes, of course it’s fast—70-plus mph fast. But speed isn’t what this boat is all about. What’s special about the Magnum 51 is its ability to run those speeds in ultimate luxury, comfort, and safety. Seventy miles per hour on a calm, costal bay is no joke, but doing 70-plus mph comfortably on the ocean with a boat full of guests is an entirely different ball game. Hold on to your hats, this is going to be quite a ride. 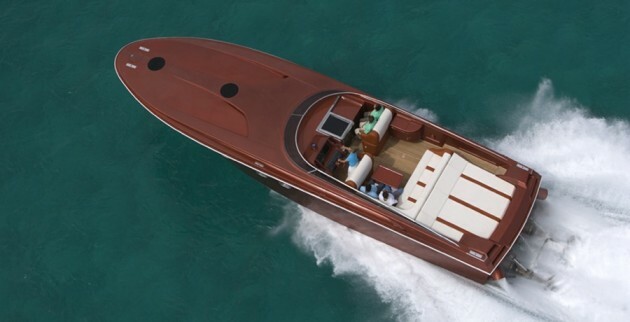 Theodoli passed away in 1990, leaving a legacy of incredible luxury performance boats behind. The boatyard and business were left to Katrin. Irritated by naysayers who told her no woman could ever successfully run a boatbuilding company such as Magnum, and wanting to continue her husband’s legacy, Katrin immersed herself in learning everything she could about the business and boats—including figuring out how to drive a boat in secret. Source: www.boats.com; Gary Reich; January 18, 2015.